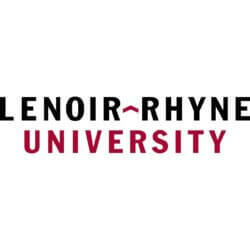 To provide event management and supervise technical support for both university and non-university conferences and events in Lenoir-Rhyne facilities. Directly supervise Technical Assistant for Conferences & Events. Train and supervise Conferences & Events staff of student workers. Oversee, operate and maintain all video, sound, lighting, rigging and other stage equipment. Serve as technical liaison between LR Departments and end user. Serve as technical advisor for on-campus events as well as outside group events using campus facilities. Review campus event contracts and technical riders. Serve as lead technician for LR events. Bachelor’s Degree required. Must have comprehensive knowledge and experience in video, streaming, sound and production management. Must have proficient managerial skills. Must have positive attitude and provide assistance in a professional and courteous manner. Must be in good physical condition with the ability of lifting 60 lbsn. While completing the application process, candidates will be prompted to submit a Letter of Application and a resume (including the names and addresses of three references). Job Categories: Theatre. Job Types: Full-Time. Job Tags: manager, production, sound, and supervisor. States: North Carolina.